Happy Earth Day! Earth Day is one of my favorite holidays, because it aligns so perfectly with what Holistic Spaces stands for. As a feng shui practitioner and green design architect, it's so important to me that we take nature into account when designing our spaces. After all, we need to be in harmony with nature to flourish and survive! We've shared many tips over the years on how to make small changes in your life to save energy, from adding more Earth element to your space to propagating plant life to adjusting your toilet to save water, using real cutlery for takeout and much more. Each of these small changes can make an incredible impact on the energy you use every day to reduce your carbon footprint, or the amount of greenhouse gases you emit on a regular basis through activities, consumption, energy usage, etc. This year, we're focusing on knowing where you use your energy so that you can reduce it wherever possible. Take a look below at our favorite places to calculate and monitor your carbon footprint. The United States Environmental Protection Agency provides a relatively simple way to determine your carbon emission impact. This option isn't super detailed, but it does provide a rough estimate of how much carbon (and other greenhouse gases) a household puts off, based on electricity and gas usage, vehicles and waste production. The EPA then offers suggestions for ways to reduce your footprint, including cost savings, at each step. Energy We Need was created by my old colleague, Alexander Frantzen, to make carbon footprint calculation easier. The website offers simple or custom calculations and is very detailed, including scientific considerations like average groundwater temperature for your area. It takes into account each person's use of technology, diet, emissions at places besides the home (school and work), laundry habits, and more. Energy We Need also makes certain steps easier, like figuring out your average water usage in the bathroom. Once you've got a good idea of your impact, the site provides an overview of the reductions necessary to meet national benchmarks, so that you know what to work toward, and suggested options for making changes. Plus, you can compare your first footprint with your new one as you make those changes! CoolClimate Network, operated by the University of California, Berkeley, is another great option if you're looking for suggestions to improve your carbon footprint. Plus, Berkeley is my alma mater! The CoolClimate system calculates by household, not individual, but it does provide a pretty detailed breakdown of how we produce greenhouse gases, taking things like diet, clothing purchases, services used, public transportation and more into consideration to ensure an accurate footprint. As you enter information and your output is adjusted, CoolClimate shows your energy consumption in comparison to the local average and provides a detailed list of ways to reduce your footprint, including an option to "Pledge" each change as well as calculated dollars saved and the cost to make each adjustment. At Carbonfootprint.com, you can calculate your energy usage by year (default) or set specific times to show your emission by month, quarter, etc. Carbon Footprint is configured in 14 different languages and uses the metric or standard system of measurement. This website takes diet, recycling habits, activity level and other smaller details into account as well and includes an option to donate as a way to offset your footprint. You can choose from varying causes, like Global Portfolio and Reforestation in Kenya, and the site provides a breakdown of where your donation goes. There are countless resources online, including a few phone apps, to measure and reduce your carbon footprint. Now that climate change and sustainability are at the forefront of current issues (finally! ), doing your part to reduce greenhouse emissions and contribute to restoring nature has never been easier! How big is your carbon footprint? What kinds of changes can you make to your space and habits to help restore the balance between us and nature? 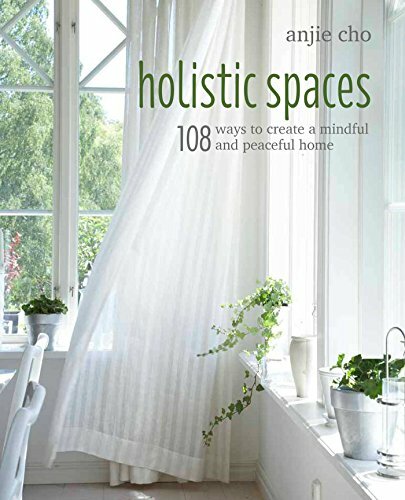 Check out a calculator, and sign up for the Holistic Spaces newsletter for even more tips on how to use green design and feng shui to reduce your footprint!